A Letter from our President: Every Child Needs a Champion! Welcome to the 2015-16 year! As a parent of two children in our School District, I am so proud to serve as President of the Greater Latrobe Partners in Education Foundation (GLPIEF). 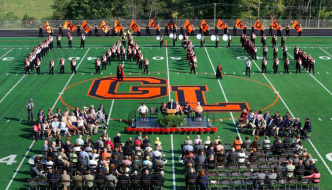 In 2012, GLPIEF was formed as an independent charitable nonprofit to enhance and enrich the educational experiences of Greater Latrobe students through community-wide participation and philanthropy. Create STEM learning labs in each elementary school, equipped with 30 iPads and a 3-D printer. Purchase a second 3-D printer for the Junior and Senior High School. 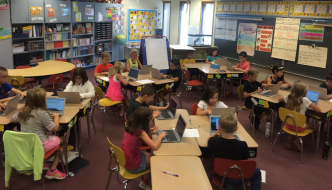 Provide Chromebook laptops for 6th grade Language Arts Teachers. Grant College-in-High-School Scholarships. Students, in financial need, registered in a GLSD dual enrollment course offered at the SHS campus, can apply to receive college credits at no cost. Install new swipe card security doors at Mountain View and Baggaley Elementary Schools to allow staff and students to securely enter the building during the school day. Offer district-wide safety and security training for all GLSD staff members. STEM Education: Thanks to a recent grant GLSD received to implement Project Lead the Way, the nation’s leading provider of STEM (Science, Technology, Engineering, Math) curriculum, GLSD will be providing world-class K-12 curriculum and teacher professional development. GLSD was the only school district in Westmoreland County to be selected for PLTW for K-12. 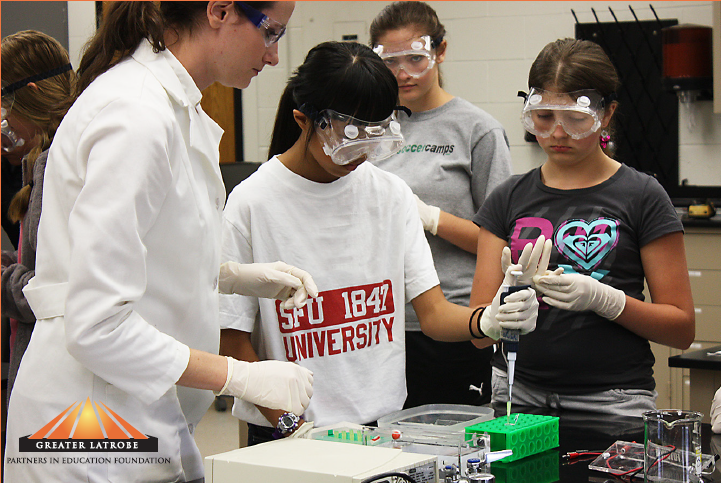 Last year, through gifts made to the annual fund, GLPIEF supported the needed equipment for school STEM labs. This year, your gift will support ongoing STEM teaching training. In addition to PLTW, GLSD is partnering with the Carnegie Science Center to provide STEM professional development for teachers throughout the district. Global Classrooms: Technology constantly changes and GLPIEF is committed to ensuring teachers and students have the best classroom tools. 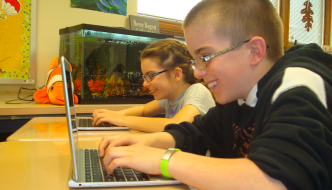 Your gift will support laptops in 90 elementary classrooms across the district as well as support Chromebook expansion in the Junior High School. Thank you for your consideration. Gifts of ANY size DO make a difference. We are truly grateful. Our first ever alumni directory project for Greater Latrobe Senior High School is completed! Directories that were ordered have been printed and will be mailed Summer 2015. The alumni directory includes Latrobe High School graduates from 1950 to 1962 and Greater Latrobe High School graduates from 1963 to 2014. If you would like to purchase a directory please contact Harris Connect at 1-800-338-7789, or contact the Center for Student Creativity Office at 724-539-4220. After graduating from Greater Latrobe High School in 1992, Scott Markovich has excelled in the business world, and is currently the national president of Magellan Complete Care. In 2007 he was recognized by the New Haven Business Times as one of the Forty Under 40 award recipients, an outstanding young professional shining through his leadership. Though, Scott is not the only leader in his family. Scott’s dad, Richard J. Markovich, was a star on the basketball team during his time at Latrobe. He averaged over 12 points per game as a junior, and with hustle and practice, he earned the title of co-captain for his senior year (1959-60). The season looked promising at the start. Richard averaged nearly 16 points per game before he devastatingly suffered a separated shoulder during a game at Somerset. After the injury, Richard could no longer play basketball and was forced to sit out for the remainder of the season. However, his leadership and support of his team never waned. He made sure to be present at every remaining practice and game to fulfill his duties, motivating and leading his team. The extent to which Richard loved the game of basketball and the devastation surrounding the injury that cut his career short were unknown to his son, until Scott began researching his father’s high school days. It was a search prompted by a postcard from the Greater Latrobe Partners in Education Foundation to update biographical information for an upcoming alumni directory. Upon learning about GLPIEF for the first time, Scott explored the website and reconnected with GLPIEF Board Member, James Okonak, who was his youth soccer coach. He decided he wanted to do something to honor his dad, began his research, and discovered Richard’s involvement as a Wildcat basketball player and leader. Scott knew the perfect way to honor his dad would be through an award for a student participating in the game his father loved. 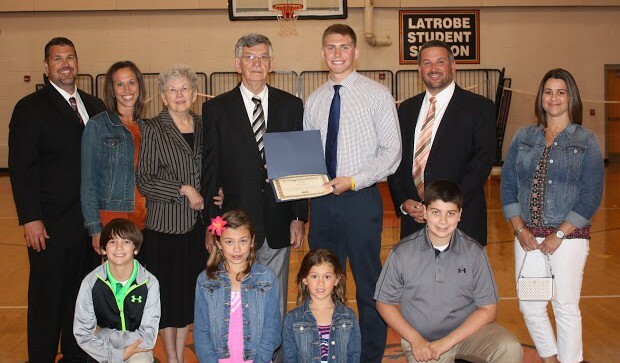 The Richard J. Markovich Scholarship Award was established in 2015 to recognize a graduating senior of the Greater Latrobe Senior High School’s Boys Basketball Team. Following suit with the qualities Richard Markovich possessed as a student at Latrobe, the awardee should exemplify student leadership with special dedication to hard work and sportsmanship in the areas of academics and athletics, be a positive role-model for his school and have the respect of his teammates. On May 21st, 2015, Scott took the stage of the Greater Latrobe High School auditorium, with his father at his side, to announce the recipient of the first Richard J. Markovich Scholarship Award. Senior Matt Dragan, a power forward on this year’s team, was announced as winner. Matt averaged nearly 15 points per game for the Wildcats and will be continuing his education at Geneva College in the fall. It was a memorable moment for father, son, and awardee. Richard Markovich still lives in the area with his wife, Elaine (Czerpak) Markovich, where they raised their two children Scott and Michele, both Latrobe graduates. Michele and her husband John Zavatsky reside in North Huntington with their two daughters Ava and Ella. All were in attendance for the ceremony. 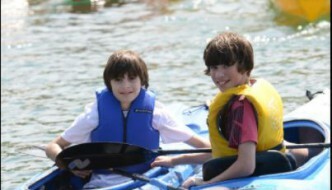 Scott Markovich resides in Guilford, CT with his wife Brandy and their two sons, Logan and Caden. Greater Latrobe Partners in Education Foundation (GLPIEF) is pleased to announce that Dana Marcinko and Robert F. Demangone have joined its Board of Directors. 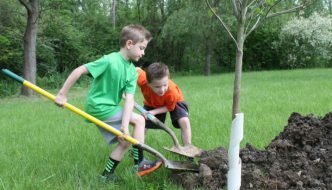 GLPIEF is a 501(c)(3) organization dedicated to encouraging community-wide participation and philanthropy to enrich the opportunities of Greater Latrobe school students. Dana Marcinko is currently the manager at Douds of Greensburg furniture store, where she incorporates her 20-year sales background and love of decorating into her job. She is married to Robert Marcinko, Mid-Atlantic Director of Sales at Citizens Investment Services, and they have two sons Jack and Cole. Dana has served as President for the Westmoreland Drug and Alcohol Commission. 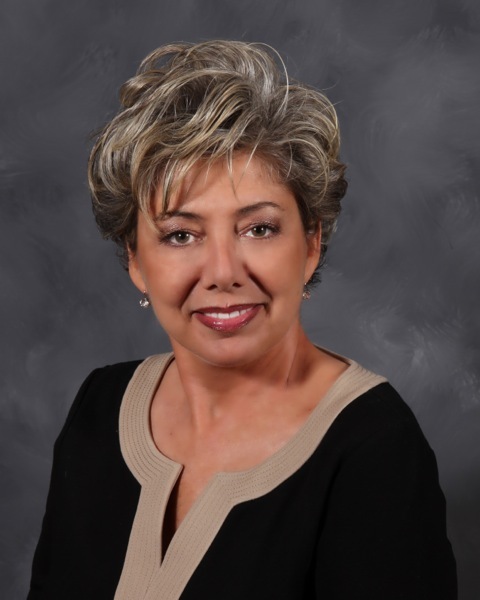 She has also served as a board member for both Westmoreland Case Management and Supports, Inc and Homes Build Hope. Most recently, Dana joined the Development Committee for the Greater Latrobe Partners In Education Foundation in 2014. Serving on the Development Committee sparked her interest to serve as a GLPIEF Board member. 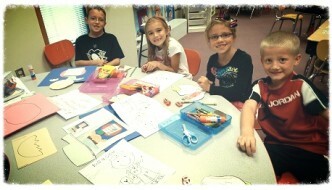 Dana says, “My children have been at Mt. View Elementary and starting in this next school year my oldest will be attending seventh grade. I saw firsthand the improvements that the foundation has made to the Jr. High and I just wanted to be a part of something that can impact them and so many others.” Moving forward in her new role as board member, she hopes to introduce other parents to the opportunities for donating as well as volunteering to benefit all Greater Latrobe students. Robert F. Demangone graduated from Saint Vincent College with a Bachelors of Science Degree in accounting. He currently serves as Vice President of Arnold Palmer Enterprises, Inc. 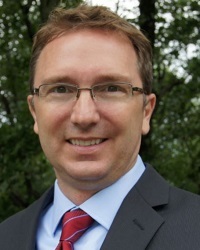 He joined the Palmer organization in 1992 as a personal financial advisor to Arnold Palmer and now holds numerous officer positions within the affiliated businesses of Arnold Palmer Enterprises, Inc., including serving as Assistant Secretary/Treasurer for the Winnie Palmer Nature Reserve. On his decision to serve as a GLPIEF Board member, Robert says, “I believe in the Foundation’s mission and in the importance for a community to have a strong education system.” As a board member, he brings experience in business, financial management, and philanthropy to add value in helping achieve the Foundation’s goals. Dana Marcinko and Robert F. Demangone join the volunteer board of directors comprised of parents, alumni, and civic and business leaders committed to effectively governing the Greater Latrobe Partners in Education Foundation. The board includes David B. Arnold; Luigi G. DiIanni; William A. Palmer; Michael J. Rossi; Bradley E.Smith, Esq. ; Dorothy M. Staffen; Lester R. Sutton; Judith A. Swigart and Maryann White. The new officers of the GLPIEF Board include Jessica S. Urbanik, president; Raymond W. Mt. Joy, Vice President; Keith M. Visconti, treasurer and James R. Okonak, secretary. The Greater Latrobe Partners in Education Foundation’s mission is to ensure the highest level of education innovation supporting GLSD students, faculty and staff with community involvement in a partnership of lifetime learning through philanthropic and volunteer opportunities. Its first project is the A+ Campaign which is a major, comprehensive capital campaign to seek philanthropic support for the 3 A’s: Academics, Arts and Athletics. To date $4.8 million has been raised towards the $5 million campaign goal. The three strategic goals of the A+ Campaign include the following: (1) Comprehensive cutting-edge technology integration in all classrooms K to 12. (2) Development of an up-to-date Athletic and Wellness Complex at the Senior/Junior High Schools. (3) The renovation of the Junior High School entrance leading to the main building corridor which provides a flexible space for the Junior High art collection modeled after the existing unique collection that we have developed at the Senior High School and three Elementary Schools, the Center for Student Creativity and courtyard. This year, GLPIEF will have the chance to receive additional money from a matching pool. Size of the match depends on the number of participants and total amount raised. Thank you for your continued support for the students of Greater Latrobe schools. Mark your calendars for the 2015 Day of Giving! 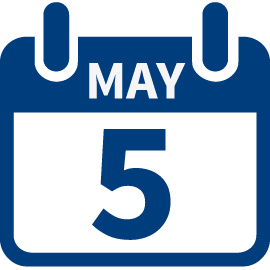 On Tuesday, May 5th, your tax-deductible donation to the Foundation will be matched making your gift more impactful! 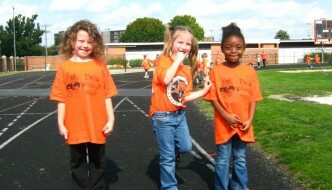 Select “Greater Latrobe Partners in Education Foundation” and make a gift. Last year, Day of Giving donations totaled over $7,500. 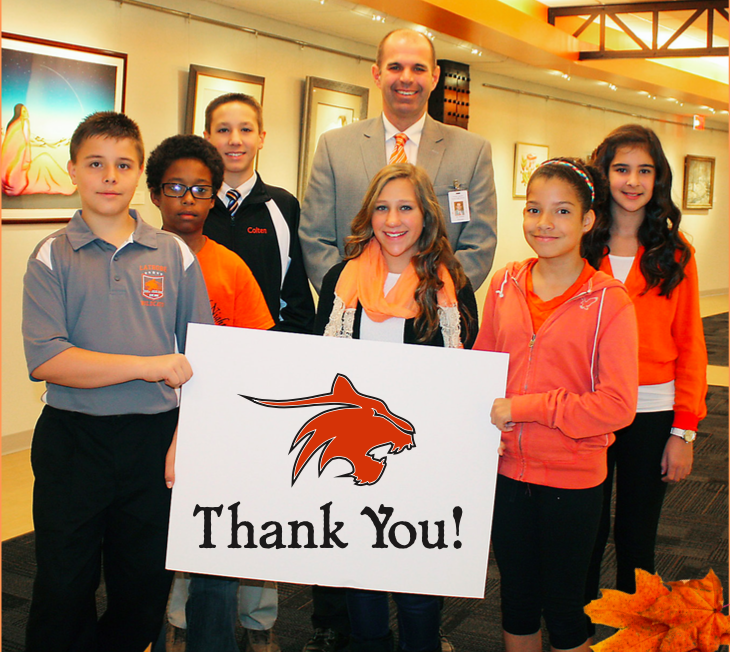 Thank you for your continued support for the students of Greater Latrobe schools. Pictured from left are Denise Martin, David Martin, Jerry Supko, Maryann White-Helfferich, Jessica Golden and Paul Puleo. Greater Latrobe Partners in Education Foundation accepts a $5,000 check from the Greater Latrobe-Laurel Valley Community Chamber of Commerce from the 2014 Golf Classic. The Chamber’s Annual Golf Classic & Dinner is scheduled for Friday, July 17, 2015 at the Latrobe Country Club with Arnold Palmer serving as Honorary Chair. The event will benefit the educational programs of the Chamber and the Greater Latrobe Partners in Education Foundation. Contact golf@gllv.org to learn more. Pictured from left are Mt. View students Dylan Steele, Lucas Lesko, Lydia Piper, Sophia Zezzo, Maggie Maiers, and Kennedy Siemon with Officer Rob. Greater Latrobe School District’s School Resource Officer (SRO) Robert Daerr recently visited with kindergarten students at Mountain View Elementary School. 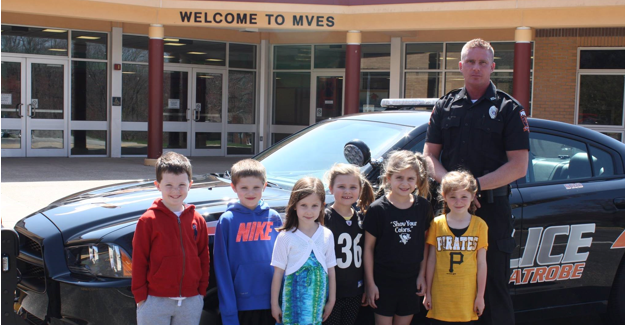 Officer Daerr showed students the new SRO vehicle that was made possible by donations to the Greater Latrobe Partners in Education Foundation. Officer Daerr works with staff and students in every Greater Latrobe school building to enhance safety and security. Officer Daerr became the School Resource Officer in March after a successful career as a PA state trooper. Former math teacher and current Senior High Principal Mr. LoCascio demonstrates a geometry problem on one of the new interactive whiteboards in the Senior High. GLPIEF granted GLSD $200,000 this school year to support new whiteboards in the SHS, purchase two 3-D printers and elementary chromebooks for 5th graders. Every classroom in GLSD has an interactive whiteboard. Sharing the Greater Latrobe Junior High improvements of the connecting corridor and “long hallway.” GLPIEF’s A+ Campaign secured local foundation funding to renovate these spaces along with building a new secure Junior High entrance. GLPIEF is pleased to announce that the Annual Fund has successfully raised over $90,000 in contributions this year. Thank you to all our donors that made a gift to the Annual Fund. This is the inaugural year of the Education Foundation’s Annual Fund and we hope to reach over $100,000 before the end of the school year. 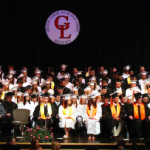 Greater Latrobe Partners in Education Foundation is working with Harris Connect to publish the Greater Latrobe Senior High School Alumni Directory of graduates from 1950-2014. Harris Connect Publishing has begun its mailing and phone call campaign to contact as many alumni as possible for verification of information. Alumni have the opportunity to verify their class year, college achievements and current career. 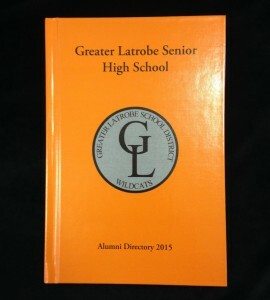 Everyone will be offered the option of purchasing the Greater Latrobe Senior High School Directory, but no one is under any obligation to purchase in order to be included in the publication. If you did not receive a postcard please call Harris Connect at +1 (800) 338-7789. GLPIEF is planning several exciting alumni initiatives and looks forward to reconnecting with you. Thank you for your participation! Mark your calendars for the DAY OF GIVING. Please consider making a gift to GLPIEF on May 5, 2015 at www.westmorelandgives.org. Your tax-deductible donation to the Foundation will be matched making your gift more impactful! 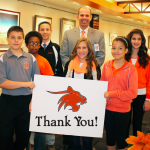 Select “Greater Latrobe Partners in Education Foundation” and make a gift. Last year, Day of Giving donations totaled over $7,500. Thank you for your support and we hope that you make a gift on May 5 and support the students of Greater Latrobe schools. Shop and Give Back to Your School! Select Greater Latrobe Partners in Education Foundation as your AmazonSmile charity. 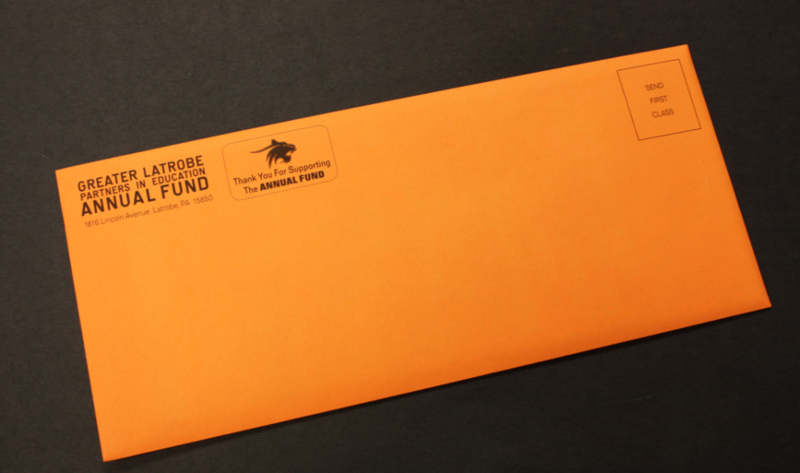 Did you receive an orange envelope? Did you receive an orange envelope? The Greater Latrobe Partners in Education Foundation (GLPIEF) invites you to help us celebrate the inaugural year of the Annual Fund by making a gift today. Please consider taking a moment to learn more about what was in that envelope and how you can directly help your child’s education. Envelopes were located in the lobbies of all schools, if you haven’t received yours yet! Digital copies are also available here. The Annual Fund enables GLSD to continue to deliver unparalleled learning experiences to our children. GLSD’s Alumni Directory Project is Under Way! 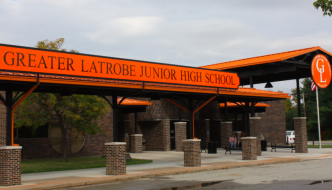 The Greater Latrobe Partners in Education Foundation announced that work on the upcoming Greater Latrobe Senior High School alumni directory is well underway and is working with Harris Connect to reach graduates by mail, email and/or phone to update alumni information. The alumni directory will include Latrobe High School graduates from 1950 to 1962 and Greater Latrobe High School graduates from 1963 to 2014. 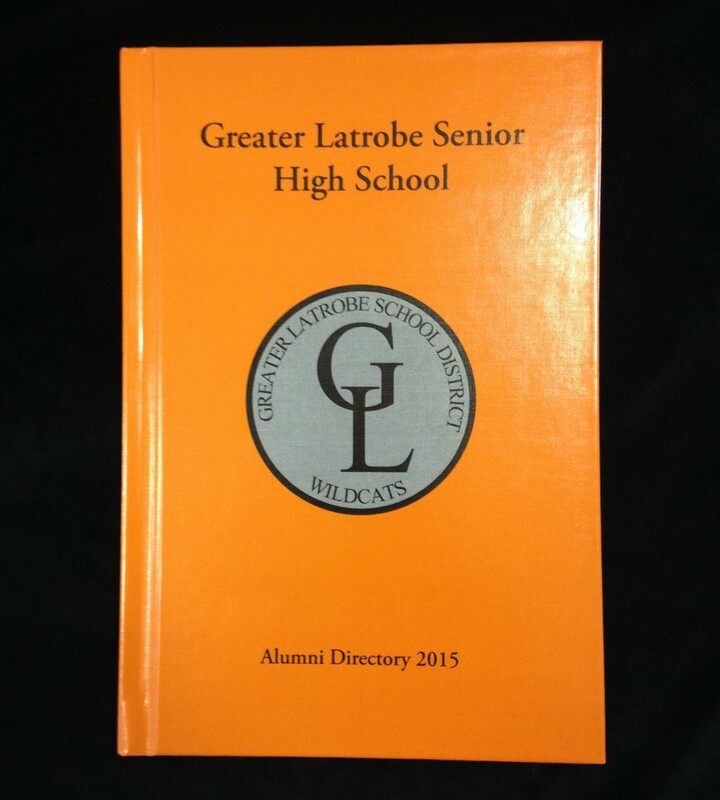 This will be the first ever alumni directory for Greater Latrobe Senior High School. The alumni directory is designed to be a definitive reference for Greater Latrobe Senior High School alumni, this publication will make it easy for graduates to reconnect with former friends and classmates. Complete listings for each respondent will include academic, professional and personal information – sorted alphabetically by last name and cross-referenced by maiden or student name, if different. Alumni will also be listed by class year and city and state of residence. A special editorial section about the Greater Latrobe Partners in Education Foundation and the history of Greater Latrobe schools will give alumni a look at the past and glimpse into the future. To help make the publication as complete as possible, the Greater Latrobe Partners in Education Foundation is asking alumni from class years 1950 to 2014 to please be sure to respond and update their biographical profile. If anyone hasn’t yet received a mailing or would like to verify their listing by phone – please call Harris Connect at: 1-800-338-7789. From all of us at Greater Latrobe Partners in Education Foundation, we wish you and yours a joyous holiday season.